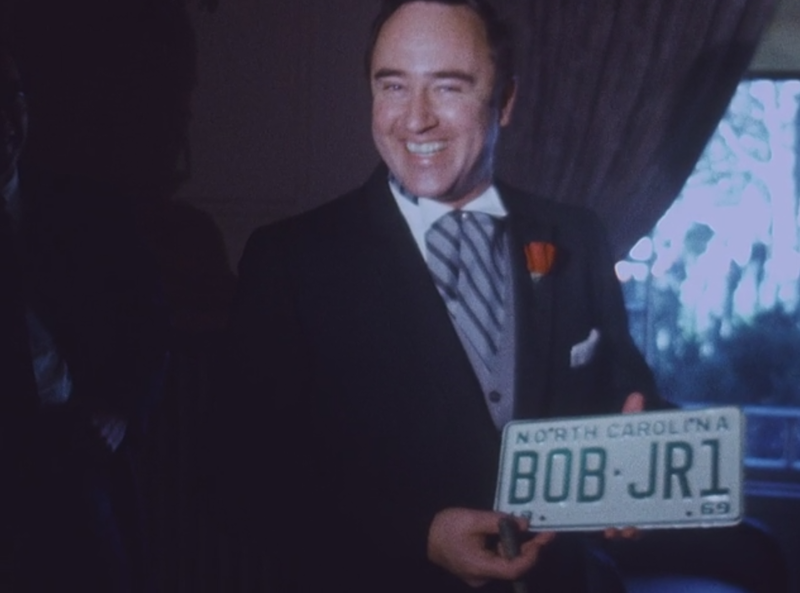 Governor Robert W. Scott receives a “Bob Jr.” license plate in this footage of his inauguration and subsequent celebrations. Contributed by the State Archives of North Carolina. Almost one year ago, we asked our partners for nominations of audio and video media from their collections to digitize, using funding from the Digital Public Library of America. From all corners of North Carolina came suggestions for moving images and sound. Some items were well documented, with descriptions or finding aids [?] in tow. Others were accompanied with the words “We think this is … but we really have no idea.” Thanks to George Blood, L. P., who digitized these items for us, and Andrea Green, our former Community Digitization Manager, we ended up with over 140 physical items digitized from 11 institutions. Here’s an overview of what’s been added to DigitalNC to our new Sights and Sounds collection (some of our partners will be posting their digitized media on their own digital collection sites instead). Stay tuned over the next few weeks for more posts taking a closer look at some of our favorites. Throughout the 1990s, Mary Lewis Deans spearheaded an ambitious and well-documented oral history campaign in Nash County. She and her colleagues spoke with long-time residents about rural farming life, military service during World War II, segregation, and family traditions. Deans was businesslike yet friendly, no-nonsense and yet genuine. Listen to and read Deans’ oral histories. Three of the films contributed by Charlotte Mecklenburg Library help document the history of Charlotte. The Charlotte Mecklenburg United Appeal campaign from 1952 shows numerous Charlotte places. 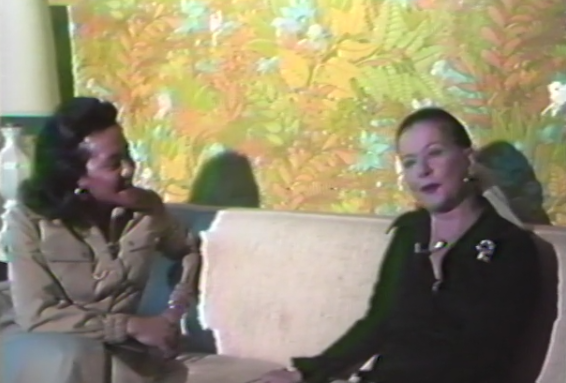 Cynthia Watts (left) interviews actress Joan Bennett in one of the Arts in Durham films contributed by the Durham Public Library. Love Durham? Love the Arts? Love the late 70s? Some of our staff favorites come from Durham Public Library’s collection of “Arts in Durham” films. Produced by the Durham Arts Council, these films showcase local bands, dance groups, visual artists, and more. We’ll definitely be blogging about our favorite moments. Durham Public Library also contributed a taped lecture by Dr. Charles Watts on the history of Lincoln Hospital, and two-part coverage of the Durham County Centennial Parade of 1981. Tobacco Perspectives is an amateur recording of a two-night event in the early 1980s during which a historian, a political scientist, and representatives from farm, industry, and public health agencies lectured on the tobacco industry both past and present. We’ve already announced the bookmobile film from Rockingham County, but we’re still looking for someone who can identify the school that’s shown. In this film boys and girls eagerly peruse and check out books from local librarians. It’s even got Jim, the library dog. We were pleased to join for the first time with the State Archives during this project, as they chose a number of films that document the state’s history. Among the films from the Archives that we’ve added online are coverage of Governor R. W. Scott II’s inauguration and U. S. Coast Guard Appreciation Day (1970). No Handouts for Mrs. Hedgepeth, 1968, documented a Durham family living below the poverty line. Contributed by the North Carolina Collection, UNC-Chapel Hill. 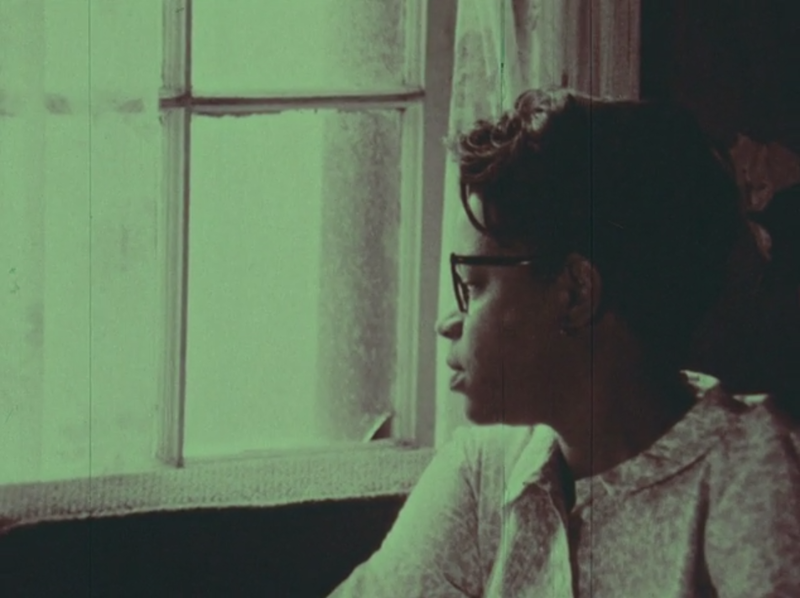 From 1962-1965, the North Carolina Film Board produced films tackling some of the most pressing issues in North Carolina: race relations, education, and economic opportunity. Eight of those films join others from the North Carolina Collection and Southern Historical Collection at UNC-Chapel Hill on DigitalNC. As might be expected, some are about UNC and Chapel Hill. Fans of the Hugh Morton Collection will also see several films believed to have been filmed by Morton or his colleagues. There’s even footage of Mildred the Bear. In 1960, Dr. Bertha Maxwell-Roddey became the first chair of what is now the Department of Africana Studies at UNC-Charlotte, which contributed three items related to her career. A scholar, educator, and community icon, one of these shows children in a classroom being taught by Maxwell-Roddey’s students. The others show a night of live poetry and music. We hope you enjoy North Carolina’s Sights and Sounds. Click to view all of the films and oral histories together. We are pleased to announce that student yearbooks from Livingstone College in Salisbury, N.C., are now available on DigitalNC. There are 46 volumes online, ranging in date from 1928 to 2014. The yearbooks document the students and faculty at Livingstone, including the Hood Theological Seminary. The original volumes are held in Archives & Special Collections at the Livingstone College Carnegie Library.